Rahul Bhatia is a second-year master’s candidate in the Security Studies Program with concentrations in Transnational Security and Asian Studies. His interests lie in the South Asian region and Environmental Security, specifically water-related conflicts. He is currently an intern with the Asia Program at the Woodrow Wilson Center. Rahul is an international student and was born and raised in India. He holds a B.A. in International Studies with a minor in Environmental Sciences from FLAME University, Pune, India. He has previously worked with a foreign policy think tank and a media firm in New Delhi. When did you realize you wanted an international career and what inspired you to select your program/concentration at the Elliott School? Ever since I was a young boy, political history especially that of wars, monarchs, and revolutions has captured my imagination. Over the years my passion for political history grew stronger, but it was my exposure to Model United Nations in high school which made me realize that a career in international affairs was my calling. I went on to major in International Studies at the undergraduate level and inadvertently ended up focusing on security issues. I wrote my undergraduate thesis on United States foreign policy and Islamist Terror in Iraq and Afghanistan, and by the time I submitted it, I knew that I wanted to pursue the Security Policy Studies Program at the Elliott School. What has been your most rewarding academic experience (i.e., in-class, with an institute/office, at an Elliott sponsored on/off-campus event) at the Elliott School? I can’t pinpoint a specific experience, but the time I have spent at the Elliott School has been very rewarding. I have found most my classes to be engaging and it has been a pleasure listening to some of the professors teach. I have only interned in Washington D.C. for a short period, but I can already see workplace applications of what is being taught at school. Apart from this, I really enjoy events organized by the Sigur Center for Asia Studies and the Institute for Middle East Studies – I feel they are intellectually enriching experiences. 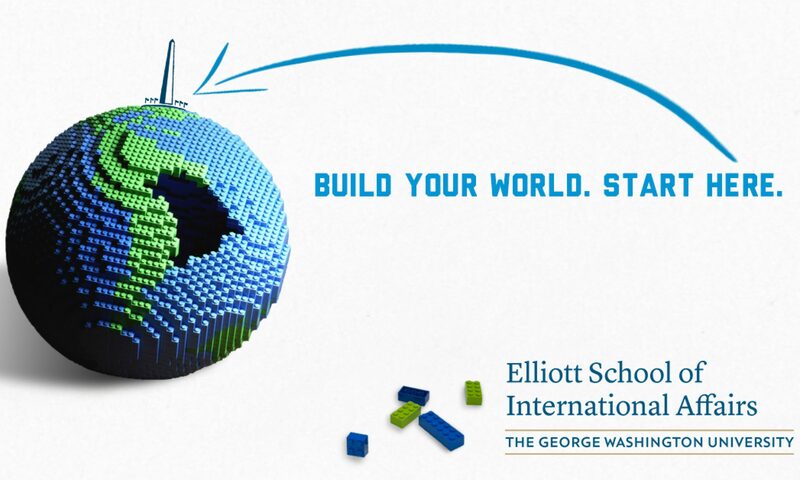 The Elliott School is located in the heart of Washington D.C. – this translates to exposure to the field of international affairs, as well as, access to professional opportunities. It is a school of great repute and attracts some of the most knowledgeable and experienced professors. The graduate programs at the Elliott School are well structured and practical. Further, the Office of Graduate Student Services is extremely helpful in terms of providing both academic and career guidance. Overall, as an international student, I have always felt welcome at the Elliott School.